The other day I opened the New York Post and often I find myself compelled to read Page Six. This is a well known section of this popular New York newspaper. It covers news about the celebrities and on this particular day I was struck to read that Ivana Trump’s 6-month marriage did not work out. I do not know Ivana, but she is a woman, a mom and a grandmother. She deserves to love and be loved like so many of us out there having found love a second time around. Though this was Ivana 3 rd attempt at marriage, and I do remember one of the many articles reported that she was being extra careful by having a long relationship to be sure before saying I Do again. Many of us are not living a life in the celebrity limelight, but it is often we read about their lives before we would read about Jane in Ohio. The path we walk on often leads us to experience life with many challenges and from those experiences, hopefully, will grow from them. To figure out why and though we cannot change the past, we can certainly change our future handling those challenges differently for the better and for the happiness we seek. You have now grown, put the past behind and took those big steps in front of you to move on. Your belief down deep is that there is love a second time around and now you have found it. Giving marriage a second chance with a love so true that you know this is what you have desired for so long and did not receive the first time around. Like so many couples after engagement, the wedding day plans begin. Comparison of the first wedding often comes into the picture and you vow to have that day expressed differently so that you feel the separation of the two not meshing with one another. A different date, a different mate, a different marriage and now a different outlook on life is part of the present and no longer the past. Pertaining to divorce, Reform Judaism recognizes civil divorce as completely dissolving the marriage. The second marriage is not seen any differently than the first marriage when it comes to the rituals and traditions in the Jewish wedding ceremony. 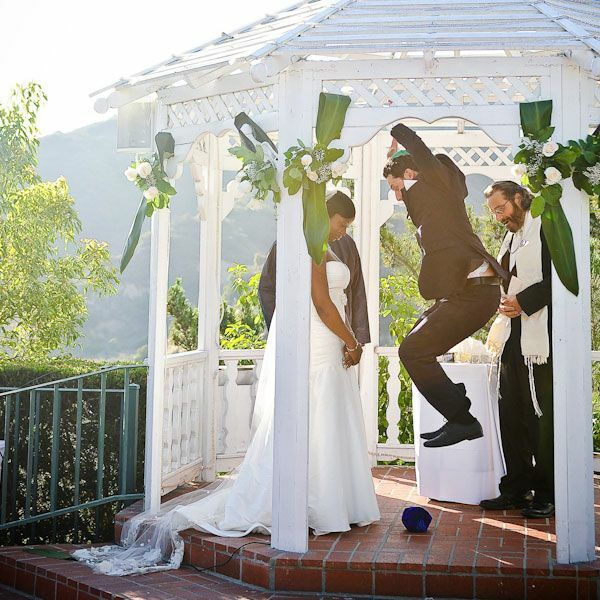 Couples often hear about the “Ritual of Release’ ceremony that takes place with a Rabbi. The sacred bond that held a couple together is terminated, recited aloud in this private ceremony. The Jewish non-civil legal document that is signed by both is called a ‘Get.’ When a person feels strongly and they are practicing their faith, this ceremony will become important in order to move forward in a spiritual way. Other than that, there are no formal requirements in Judaism that a couple has to go through in order to marry again. When you are both Jewish, you need to have the conversation. Decide together as a couple what you will or what you will not do in your home together pertaining to Judaism as husband and wife. It is always advisable before, then to be surprised and or disappointed. If all the above is difficult to do by yourselves, then do seek out a Rabbi that could counsel you both. When you are an interfaith couple, most likely before getting engaged you had the conversation about both faiths. That conversation should not be avoided if you had not already done so. Are you both practicing, are you not? Do you celebrate only the holidays with each of your families? Are there children from a previous marriage? If you are planning to have a family together, will you raise those children Jewish? If you are the non-Jewish partner, is it important to your partner who is Jewish for you to convert? Basically, how much of your both faiths are bottom line important and how they fit into your lives because they will be present even if the only connection is through each of your families. A couple needs to have the conversation together before meeting with a Rabbi because it is those questions that will in fact come up in conversation when you meet the Rabbi for the first meeting and for officiating your wedding ceremony Jewish or interfaith. Seek out a Rabbi for counseling if this conversation needs some assistance. It is not required, but always knows that a Rabbi is there to assist you both when faith becomes an issue. Rob and I met unexpectedly within a year of our respective separations. We were both so surprised by our budding romance (and out of dating practice) that we completely ignored all the “rules.” After our first date, I could tell Rob was a little smitten and it scared me. But I went with it. And ultimately it was the fact that we were honest and vulnerable with one another that enabled us to lay a really solid foundation for our relationship. When it comes to the Jewish wedding ceremony, most couples who have not had one before ask the question, “What is required”? 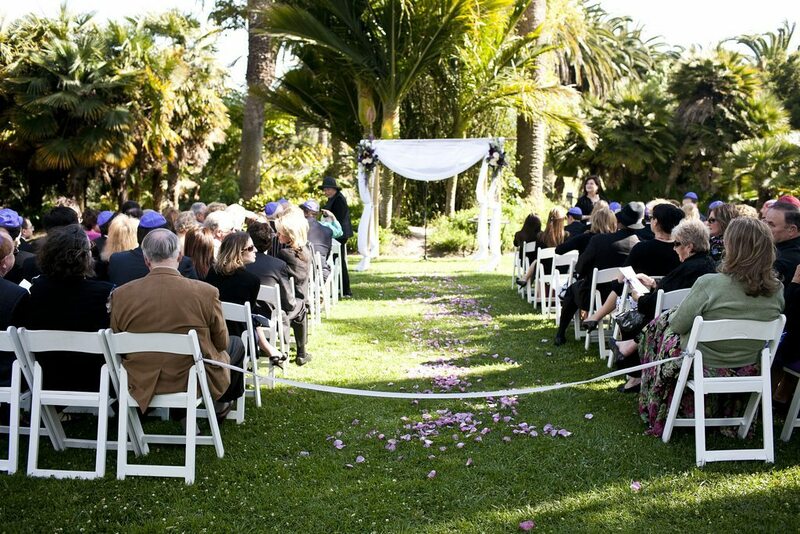 Finding a good Rabbi that will take the time to sit with you both and explain the Jewish wedding ceremony in detail is quite important. Actually, before making a wedding date and signing contracts, this is the top of the check list. With all that is available to us on the internet, obtaining more information and learning, it is not surprising that my couples do want to know about the ceremony in detail. I often heard from couples that when they attended a Jewish wedding ceremony, it was over and they did not understand much of it. Rabbi on a definition level means teacher. Finding one who enjoys explaining the rituals and traditions which have been around over 2,000 years will make any couple feel connected to the Rabbi. It does not matter if you are both Jewish and/or interfaith couples. If Judaism becomes your one faith, then start your marriage together understanding one of the most beautiful traditions that exists. In a legal sense, like Ivana who most likely drew up pre-nuptial agreements, the traditional Ketubah is the Jewish wedding contract that protected the woman as far back in the Torah (the five books of Moses). Today, the traditional Ketubah has not changed when the Aramaic text is used, but for those of who consider themselves Conservative, Reform, Reconstructionists and interfaith, the text is altered to express an egalitarian commitment to each other. 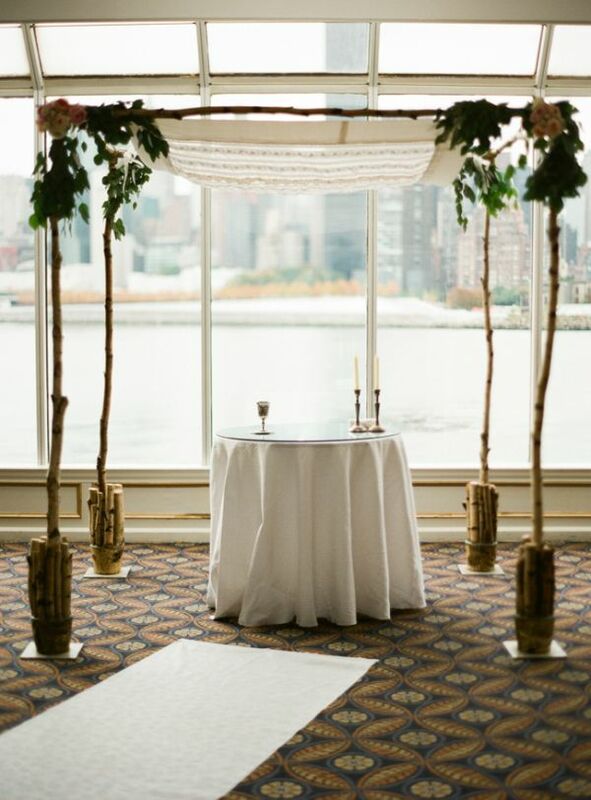 The Chuppah is the wedding canopy that becomes the central focus for all Jewish wedding ceremonies. It creates the sacred space for the couple when entered for their ceremony to begin. 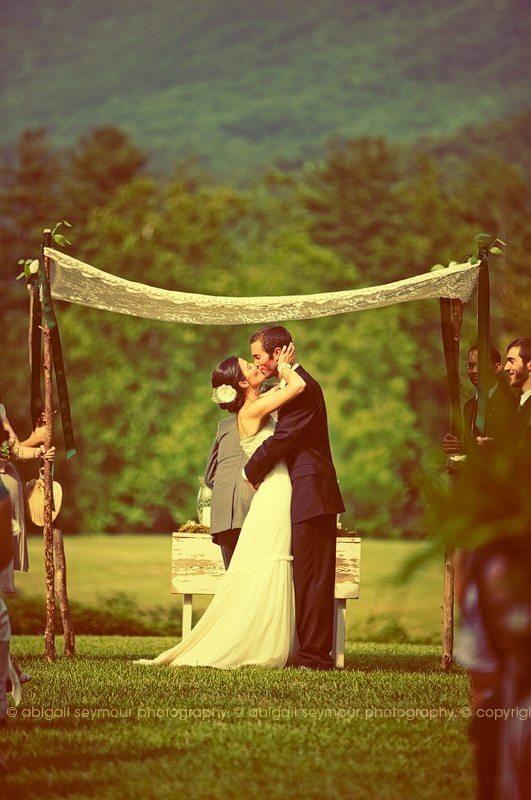 That is why a Chuppah can exist in so many locations, indoors and out. The Kiddush Cup is a wine goblet that holds the wine for the couple to drink twice during certain parts of their ceremony and sanctify their marriage making is a holy covenant between each other to God and with God’s blessings. White Kosher wine is the best choice since it will not ruin the beautiful wedding attire. The Seven Wedding Blessings are just that – blessings. The number is significant in Judaism because in the first book of Genesis, it was the beginning when all was created in seven days. During the wedding ceremony we are reminded that not only creation of the world in which we live on, but man and woman were brought together. Today, most Rabbis’ are wrapping the couple in the traditional prayer shawl called the Tallit. This prayer shawl is more than what we think it is only used for. The prayer shawl’s stripes are straight for a reason for it is symbolic to tell us that Judaism continues from generation to generation. It also has a mystical side, there are 32 fringes and the number 32 corresponds in Hebrew to heart. Two hearts become one when wrapped with one prayer shawl. We traditionally end all Jewish wedding ceremonies with the breaking of the glass. Its original meaning was to never forget the destruction of the second temple. For its destruction is what created for all those generations to spread around the world out of the land of Israel. Thus, many temples were built in communities. The shattered glass is symbolic to the ease of how it can break and we pray that a couple’s marriage will be unable to break so easily, especially when it did before. The old things are passed away, and love has been re-ignited and blossoms again. Love is all that matters now. Mazel Tov! Should I remarry if my future stepchildren hate me?